In my thirteen plus year career as an IT professional, I've spent the better part of this time helping other SMB owners make data-driven decisions in their own broadband shopping. Sometimes my company FireLogic is asked to step in when it's too late -- for example, after a multi year contract is signed on an oversold fiber line that is bloated with too much bandwidth, just because the SMB owner was tricked into believing there was no other path. As a customer-facing consultant, I see this every month and am writing this as a way to help other SMB owners from being taken for a ride. While the ISPs we routinely work with won't appreciate it, here is the straight and narrow on the common mistakes we see SMB owners making time and again when shopping for broadband. Most people know that getting a mortgage through a broker gets you a better deal than shopping directly through a single bank. The same goes for insurance hunting. Wouldn't you want to put the same leverage to work when shopping for expensive broadband? When my customers ask me to assist with their ISP shopping, this is one of the first parties we engage when seeing what options are available. We aren't wasting our time calling Comcast or ATT or any of the other ISPs directly. They have no interest in disclosing all of the available packages for a given location, and want to start their pricing all based on lengthy 3 year service terms. Likewise, if a customer location can be serviced by a lesser cost GPON fiber offering (like ATT SMB Fiber), they'll lead their discussions with the more expensive Fiber-to-the-Suite (FTTS) offering since their commissions are unsurprisingly much higher. One of the common misconceptions SMB owners have, when they admit they didn't want to engage my recommendation of using a broker, is that their recurring monthly costs will be higher by not going direct. I face-palm every time I hear this incorrect assumption. Not only is pricing always 1:1 for what a direct rep has to offer, but you have full disclosure about ALL of the available service options and speed levels. Yes, the very details the direct reps love hiding from inquiring potential customers. What these SMB owners gain in a slightly faster install time, they end up paying for dearly in the form of years of bloated recurring costs from oversold contracts. Another widespread misconception that SMB owners voice concerns about stem from the belief that a broker only has relationships with a subset of the ISPs on the market. While this may be true for some brokers, my company FireLogic works directly with one of the largest telecom Master Agents in the nation, which means we have access to almost every carrier on the market. Not only this, but our broker has insight on what carriers have better reliability in specific cities and neighborhoods since they have such widespread metrics and feedback from other IT consultancies like ours. Feedback which ISP direct reps would NEVER ever dare to share for obvious reasons. If you're still shopping for broadband without someone in your corner like an IT consultant with access to a quality broker, you're going to be almost certainly overpaying in most instances. Possibly the most egregious of mistakes SMBs make when ISP shopping is thinking they need a certain level of bandwidth. And usually without any data to help back it up. Shopping without such knowledge through direct reps is akin to allowing the ISP to fish for you in a barrel, since their calculations on bandwidth needs are unscientific and always lean on the side of fatter pipes. No two office workers' usage patterns are alike, just like no two businesses in the same vertical with the same headcount would have matching usage patterns. Every time I hear from a client of mine that a rep based their bandwidth needs solely based on headcount, I can't help but shake my head. And you can't trust an ISP to give you an accurate measure of how much bandwidth you are using at any given time, since they have a vested interest in upselling your pipeline at any chance they get. There is a solution to this problem. A majority of our supported client sites have networks that are protected by business class firewalls. Our firewall/router maker of choice is Cisco Meraki due to its simple management interface, cloud hosted "single pane of glass" dashboard, and automated firmware updates among other nice features. I wrote at length about what I think about Cisco Meraki's MX firewalls in a previous lengthy review, for those interested. But the feature of importance here to help make sound bandwidth decisions is a nifty feature they offer called "Uplink Traffic" that can show live usage and load for all connected internet lines at an office. For locations that already have a Meraki firewall in place, we use this tool almost exclusively in helping to make data driven decisions on what an office is currently using, and any bottlenecks that may be going on related to the ISP WAN pipe. Sometimes, pipes are undersized and we have proven traffic graphs that uphold a need to buy more raw pipe. But more often than not, we are dealing with offices that are merely asking their ISP pipes to work harder and not smarter. Which leads me to the third most common mistake related to broadband. Most SMBs think they need more bandwidth than they actually do. That's because instead of asking their bandwidth to work smarter, they follow the ISP playbook of merely asking it to work harder with endlessly growing pipelines. But this recurring pattern of upping bandwidth when slowness patterns begin anew is just a bandaid to a bigger problem SMBs usually don't have the in-house expertise to pinpoint on their own. And it all stems from a lack of traffic management. My company has been pushing traffic prioritization and rules for better internet experiences for numerous years, but for many SMBs, this is still a novel "pie in the sky" concept. Maybe this nugget example will open your eyes as to how important traffic management this has become. Even just one employee streaming a 4K Netflix movie in the background while working equates to about 25Mbps of dedicated bandwidth per official figures. Bump that to a measly three workers in a single office, and that's now a 75Mbps concurrent strain of lost bandwidth. For many SMBs with smaller pipes, this may destroy an entire office internet connection without batting an eye. And the sad part is that none of this traffic is even work-related. Unscrupulous ISPs would merely say to bump that line up another 25 or 50Mbps to solve the problem. But just like a wider highway in a major metro area, you bring the lanes and the traffic will come regardless of size. This senseless roundabout of bandwidth increases is far from the right answer, but one that the ISP loves to help "solve" with bandwidth bumps. The real solution? Logical, modern network traffic management which is pinned together by a few spokes of industry best practices. One aspect is to place global bandwidth caps on all connected devices in a given office. Another layer is to use Guest WiFi and Wired network segments that can have differing traffic caps and priorities. Additionally, sometimes this requires time-of-day based or outright blocks on large offending services like Netflix, Facebook, YouTube, Mixer, etc. 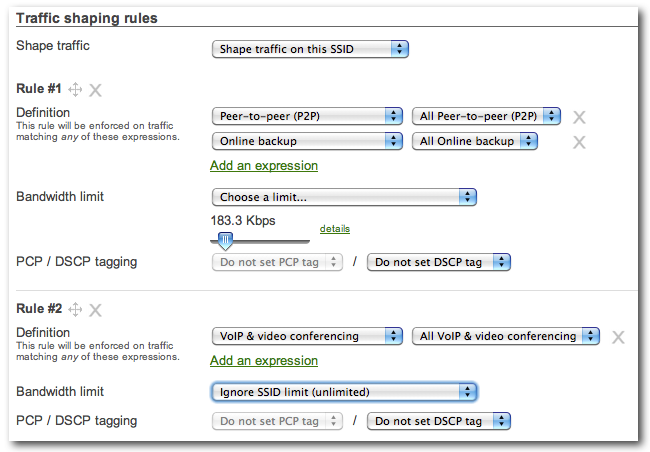 Network nirvana through such rules aren't hard to achieve with the right networking hardware. We can get really granular with these smart rules on networks we support that have Cisco Meraki firewalls and access points, but there are other vendors which also make gear of similar caliber. Long story short here is that we need to stop believing that more bandwidth is the only answer here. Many times, with some simple traffic rules as mentioned, we're able to carve down existing pipelines or slim down new WAN ISP installations by decent margins that add up to nice monthly savings. Another big mistake we see, especially for new offices, is an adherence to solely looking at expensive Fiber-to-the-Suite (FTTS) service from the likes of Comcast or ATT or Level3. For some businesses, these are necessary connections due to their dedicated symmetrical bandwidth and Service Level Agreements (SLA). I'm not here to say that "fat pipe" symmetrical fiber isn't ever the needed approach. But for a majority of smaller SMBs, we can achieve similar levels of reliability and uptime, and raw speed, through the use of a GPON shared fiber line plus a traditional coax service, just as an example. This is exactly how we run our own FireLogic company office in Des Plaines, IL -- so yes, we eat our own dogfood here. We have a Cisco Meraki firewall setup for line failover in the case of a primary WAN outage, along with some additional trickery like having all our voice traffic travel over our secondary pipe. We replicate what some offices would pay north of $750USD per month for at a fraction of the cost with admittedly better reliability and uptime due to using dual carriers. Some direct reps will counter my argument and say that, well, a true Fiber-to-the-Suite (FTTS) service like Comcast Fiber has a much better Service Level Agreement (SLA) than any of my lesser connections stated. And yes, they would be 100 percent right. But what about when (and I have seen this happen) one of those fancy fiber lines gets cut by contractors working outside of your building? These uptime metrics and guarantees go out the window, and they are at the helm of someone splicing the broken connection back together. This could be a 4 or 6+ hour affair, if not longer, depending on how fast fiber technicians can get to the site. And that assumes also that the cut can be quickly and easily found -- another layer of "hope and prayers" for a fast resolution. Yes, we've seen SLA-backed fiber lines go out for days as this game of cat and mouse played out. I hate relying on a single pipeline, no matter the fancy SLA tied to it. Acts of god or acts of mistaken contractors is a stark reality in most metro markets, and this means you are SOL for as long as that fancy line is down. Two distinct lines from different vendors, especially using different delivery technologies, ensures as close to a 100 percent uptime as you can get. This is the approach we take for a majority of SMBs we support, other than those that truly need dedicated symmetrical fiber for specific security or performance purposes. A lot of ISPs want you to believe that bundling other services for your office, namely voice or Voice over IP (VoIP), into a broadband contract will net you a greater savings over the long haul. I can't say this is never the case, but I can comfortably say that this is rarely true in the deals I have been asked to evaluate. A secret that most ISPs don't disclose publicly is the raw fact that they allow their internet service to usually be a loss leader, in order to make up for it on the voice side. This isn't as common in the higher priced symmetrical Fiber-to-the-Suite (FTTS) offerings due to the high monthly costs, but for most other lesser line offerings, this industry secret applies. While pricing is often subject to change, as of April 2018, I can easily help a client secure VoIP phone service through a broker at around the $20-25 USD per seat with all-in calling and functionality. From what I've seen on bundled pricing offered to clients lately, this same service is being pitched at closer to the $28-30 USD per seat range. And the advantages of keeping VoIP separate from an internet carrier are multi-fold. Not only is pricing usually better since third party VoIP carriers don't have the customer inroads that ISPs do, but you can take advantage of leveraging dual internet connections to run their service across -- something that you cannot ever do with an ISP-provided VoIP service, since the service is inherently designed to only run over their backhaul. 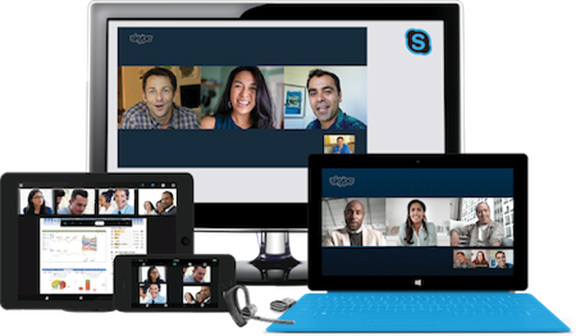 For example, our phone service at FireLogic is a hosted Skype for Business solution from CallTower which is 100 percent ISP agnostic. My staff routinely works from home and can use their same phone service even when away from the office, with zero issues. When they are in the office, we have this traffic flow over our secondary ISP pipeline from Comcast. If Comcast ever goes down, this traffic rolls back onto our ATT GPON Fiber circuit with no manual intervention, and then goes back to Comcast when the service comes back up. Our Meraki firewall handles this in an automated fashion, and yes, it does work flawlessly. Stop falling for the "bundle and save" myth from the big carriers. They have a vested interest in putting a veil over where they make their money, and this is one of the ways how. Split your voice or VoIP needs from your internet service to get better phone service, save some money, and take advantage of uptime capabilities which a native ISP offering can never match. Having "one throat to choke" is a nice notion, but at what inflated cost? Ah, the old bait and switch tactic. It's all too common in the SMB ISP broadband space, and so many fall victim to this. An ISP shows an offer for a price that ends up being valid for 12 months, and only if you bundle in a few voice lines you don't need, stand on your head a certain way, and pray that the winds don't change direction either. Limited time promo offers are meant to lower your friction to saying no, only in order to lock you into a rate that is unbelievably low with the hopes you don't say anything when the rate jumps back up to normal levels. Is it worth the hassle of renegotiating the rate when the promo is up? Worse yet, will you truly find the time and energy to go through an ISP carrier switch if after the promo you can't come to terms on a reasonable new rate? Avoid this hassle and mess entirely. Most SMB clients I've seen go this approach just suffer through rate increases down the road since they don't want to "deal with it" when the time comes. A terrible position to be in. If you're insistent on buying via promo, be sure to find out what caveats apply and when the new rate kicks in, and what exactly this rate will be. Some carriers like to enforce a policy that holds you to a certain level of speed and feature set on your agreement, or they will charge a penalty in addition to raising rates up to standard levels. Be sure to ask, and get it in writing. In my consultations with SMB clients, I tend to avoid such promos and instead prefer to deal through our broker on standard flat rate pricing based on a given term. The fact that we are shopping through a broker already gives us a leg up, and if they're involving my consultative services, we're driving the discussion about how much bandwidth and what type of service is needed -- which in the end, usually saves far more money in the long term compared to whatever short term promo savings they would have gotten going solo with a direct rep.
Shop for your broadband needs based on actual calculated bandwidth needed, type of service required, # of WAN lines required, and availability. Leave the promo offers for the suckers that prefer to be penny wise but dollar foolish. While some IT consultants out there may indeed charge for their time in ISP shopping, a good majority (including myself) do not. Yes, I will admit that we do get paid a small commission from the winning ISP(s) for our efforts. But by and large, the bread and butter for businesses in my space is what we make from labor for our core value added services. Network implementation, server support, VoIP installation, Managed IT Services. You catch my drift. But if you are going to be paying for internet service regardless of if you have an advocate in your corner or not, wouldn't you rather know that you got the best deal for your dollar? Take advantage of an IT consultant that can help weed through fact from fiction, propose the proper internet options, and right-size bandwidth needs per logical data and not just ISP rep soft suggestions. Brokers and their supporting IT consultants like my firm have the client's best interest at heart -- which is the other way around when you are shopping with an ISP's direct rep. Honest consultants have been shopping broadband ISP carriers for years, know the industry and its technologies well, and can help you piece together an internet line strategy that makes the most sense for your business. As you can tell, I'm a huge proponent of having data to back up your ISP shopping direction. The carriers love to oversell on bandwidth and oversubscribe on delivery mechanisms that don't match actual business requirements. But as they say, sometimes you just don't know what you don't know, and ISPs love wedging in the middle of the incessant war of FUD from all directions. While the above seven mistakes are the ones I commonly come across in the field, I'd love to see if there are any others that readers have seen. 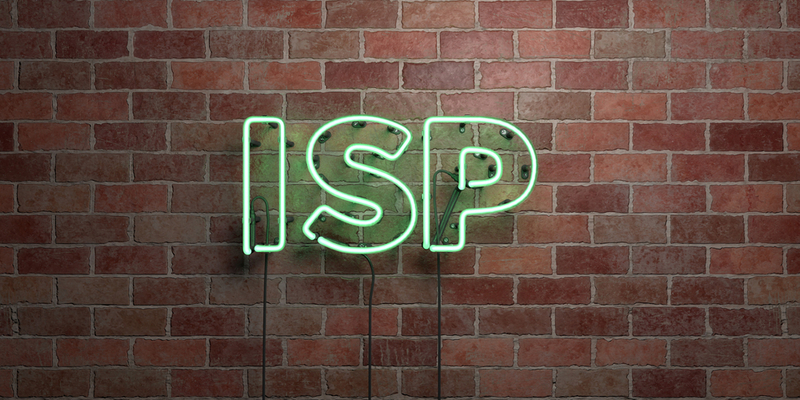 Got suggestions for navigating the ISP minefield? Let them be known in the comments area below. Derrick Wlodarz is a seasoned IT Specialist who owns Des Plaines, IL (USA) based Managed IT Service firm FireLogic. He has 12+ years of IT industry experience across the private and public sectors, with numerous technical credentials from Microsoft, Google, and CompTIA. He specializes in providing SMB clients with managed IT support, consulting, and training. Derrick is a long-serving member of CompTIA's Subject Matter Expert Technical Advisory Council that shapes the future of CompTIA exams across the world. You can reach him via email at derrick@wlodarz.net.